Last weekend, I wrapped up my trip to Rome. 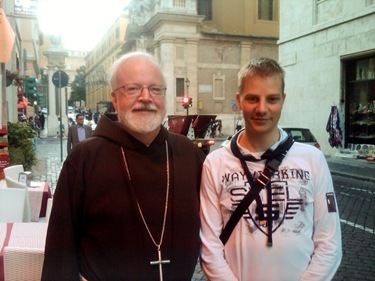 While I was there, I looked up Andreas Widmer’s nephew, Matthias, who became a member of the Swiss Guard a few months ago. I understand Matthias had been an orthopedic shoemaker in Switzerland. Andreas has been very active in our Catholic Men’s Conference and young adult ministries. 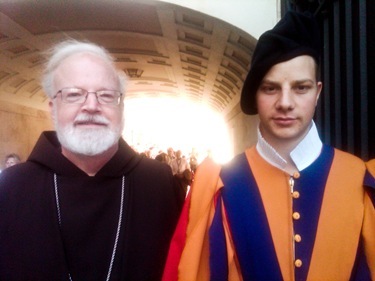 He is also a former Swiss guard and has delivered talks on his experience in the past. Andrea’s brother has also served as a Swiss Guard. There are about 120 young men from Switzerland guarding the Holy Father and the perimeter of the Vatican City state. We took a photo of him on duty in the Piazza San Pietro in his full regalia. He seems to be enjoying the experience very much. 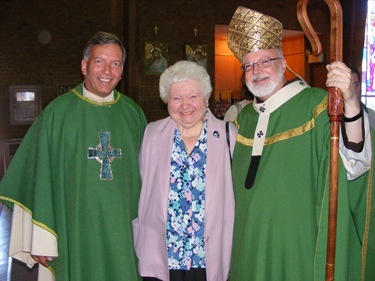 On Sunday I was back in Boston, and that day I went to St. Susanna Parish in Dedham for their 50th anniversary Mass. Father Stephen Josoma is the pastor there. 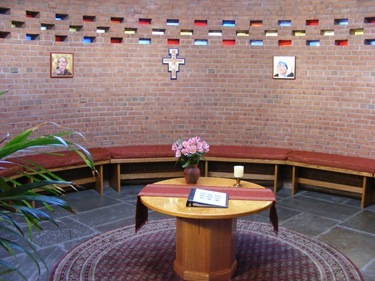 Before the Mass, they asked me to bless their Peace Chapel, which is located in the vestibule of their church. The artists who painted the pictures there were the same artists who painted a very beautiful mural of St. Susanna, the patroness of the Church. 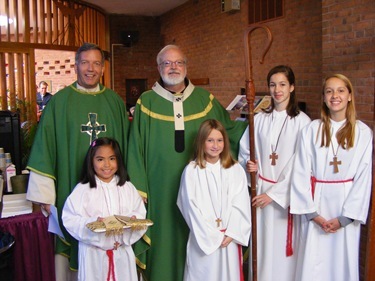 They had a wonderful choir leading us in song at the Mass. The church and the grounds looked very beautiful, and the people very enthusiastic. 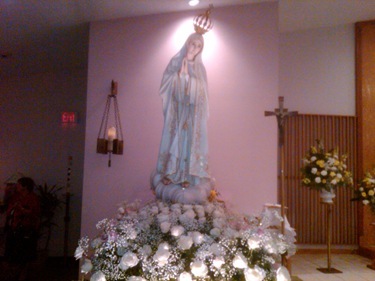 Later that day, I went to Our Lady of Fatima Parish in Peabody for a Mass to mark the 35th anniversary of their church and install their new pastor, Father Chris Gomes. The church was built in 1975, but parish itself goes back to 1964. 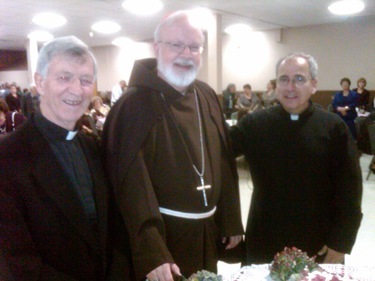 The pastor who built current church, Father Jose da Silva Ferreira, was in attendance. There was an extraordinary choir at Sunday’s Mass. It was just fabulous. They had a band there that greeted me at the church door. 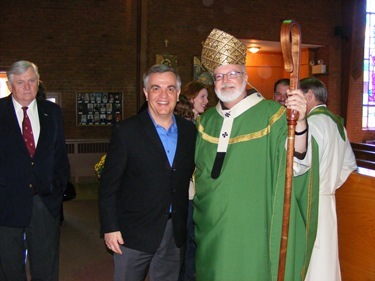 Father Walter Carreiro, who is the coordinator for the Portuguese ministry in the archdiocese, was also in attendance. Father Jonathan Gaspar’s grandmother, aunt, cousins, and other relatives flocked to the church to get a glimpse of Father Jonathan! 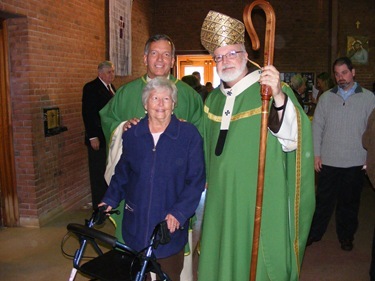 On Monday, two nieces of the late Msgr. Francis Rossiter, Margaret Rossiter and Sherry Jenkins, paid me a visit. 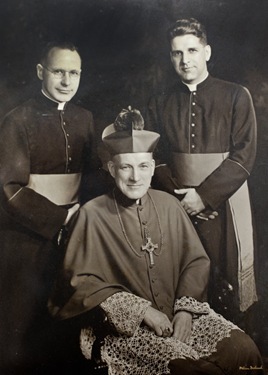 They brought me a photograph of Cardinal Cushing posing with their uncle and then-Msgr. Lawrence Riley, who later would be named auxiliary bishop here. Msgr. 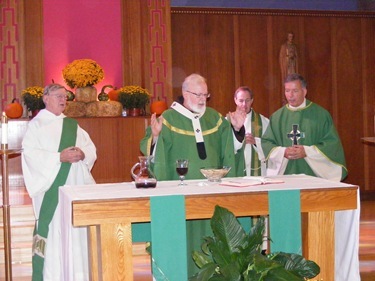 Rossiter was a well-known and highly-regarded priest in the archdiocese. He studied Sacred Scripture in Rome and at Catholic University in Washington and taught for many years at both St. John’s and Blessed John XXIII Seminary. 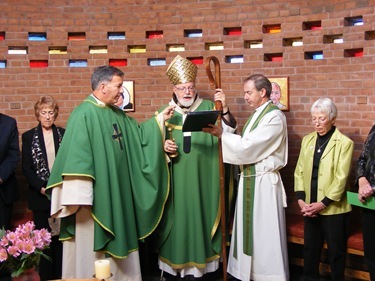 Even in retirement he was very active in prison chaplaincy and was a very zealous priest. Msgr. 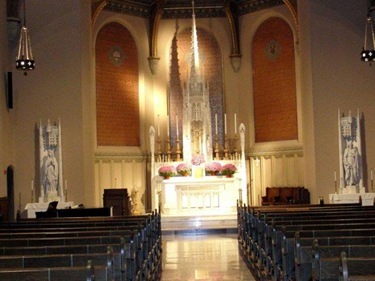 Rossiter truly loved the seminary and saw the great importance of the formation of men for the priesthood. Because of that, I’m sure, Msgr. 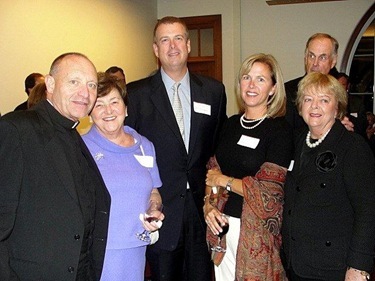 Rossiter left a very generous bequest from his estate to support the education of seminarians. His nieces presented that to us during their visit. We are very grateful for his gift. Msgr. Rossiter made a great impact on many people during his life and now, with this gift, he will continue to have a great impact even after his death. 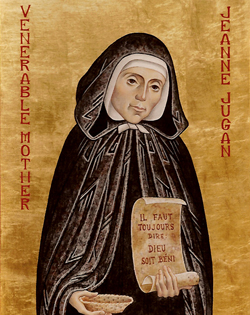 Later that day, I went to the Jeanne Jugan Residence in Somerville, run by the Little Sisters of the Poor, to mark the first anniversary of the canonization of their foundress, St. Jeanne Jugan. 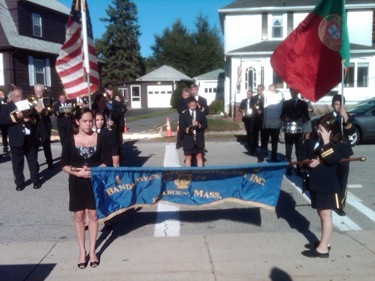 Their Mother General was there visiting from France, and a number of priests concelebrated including Father Brian McCue, Father Chris Collins, a Jesuit who assists at the home, Father Henry Jennings from St. Joseph’s in Somerville. 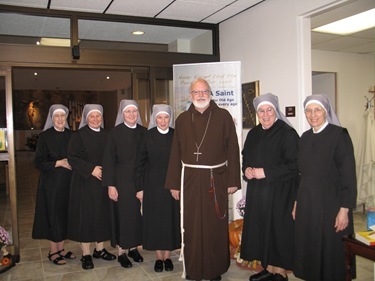 As always, it is a great joy to visit with the Sisters and the residents and staff. 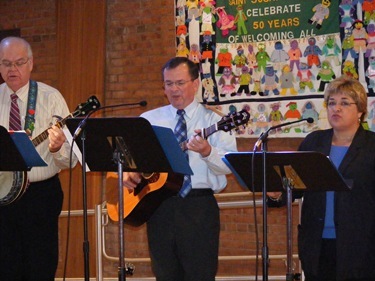 The seniors who live at Jeanne Jugan receive excellent care that is always provided with the care and concern of the Church. 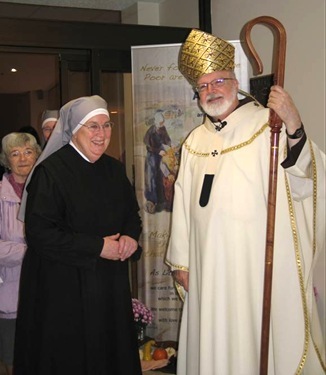 The Archdiocese is blessed to have the Sisters in our midst, their service is truly a witness the presence of Jesus Christ in our midst. 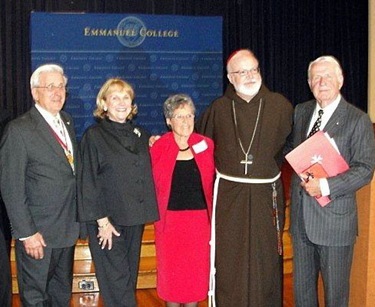 On Wednesday I had a Mass and attended the awards dinner for the Order of Malta at Emmanuel College that followed. 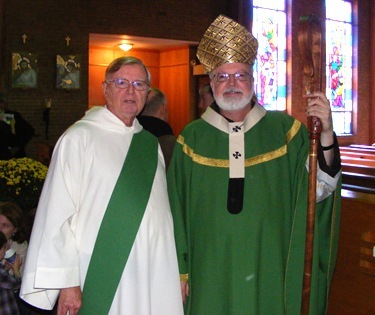 Their Archbishop Williams Award was given to Ambassador Robert Shafer, who is the ambassador of the Order of Malta to the United Nations and a U.N. Permanent Observer. The Order of Malta has diplomatic relations with over 100 countries, and they maintain diplomatic relations so as to oversee their properties and works of mercy in every region. 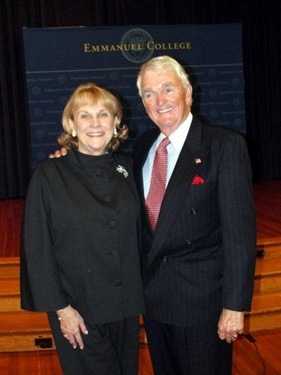 Ambassador Shafer was accompanied by his wife Helen. 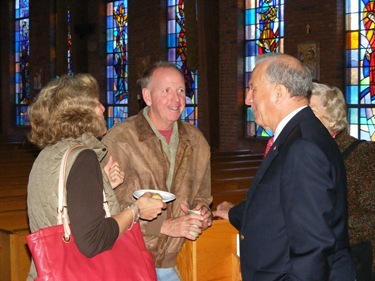 He gave a talk describing his work as an ambassador of the Order of Malta to the United Nations. 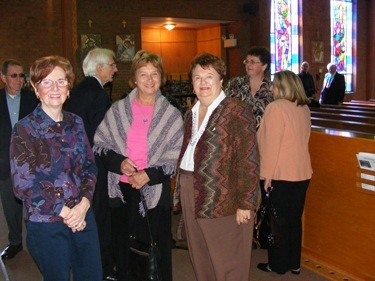 Sister Janet Eisner, the president of Emmanuel College, is always very gracious in hosting events such as this. There was a very good turnout of the members of the Order of Malta, and some new members there. 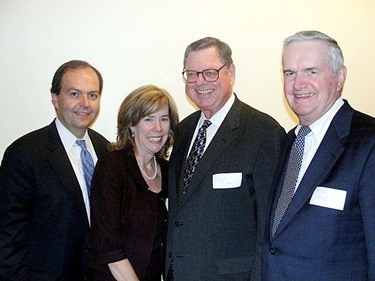 Norm and Helen Boucher, Joe Finn and Tom Reilly. Helen is a doctor who did wonderful work for the Order’s hospital in Milot, Haiti after the earthquake.